Our wonderful city of Edinburgh is packed full of fascinating things to see and do, so in our new series of blogs we will be exploring the many wonderful attractions on offer (other than ourselves). Our first blog is about things to do with the kids, and particularly things to do on a rainy day. One of Edinburgh’s oldest attractions, Camera Obscura has to be seen to be believed. Offering visitors a combination of optical illusions and breath-taking views, there are six floors of fun to be explored in this fascinating attraction. This unique experience has delighted and intrigued visitors for over 150 years. One for big and small kids alike, Camera Obscura is a ‘must’ on any visit to Edinburgh. As part of the more educational side of Edinburgh, the Palace of Holyroodhouse is both a beautiful building and a fantastic place to visit. A tour of the Queen’s official residence in Scotland will show you more tapestries, paintings and plasterwork than you can shake a sceptre at. 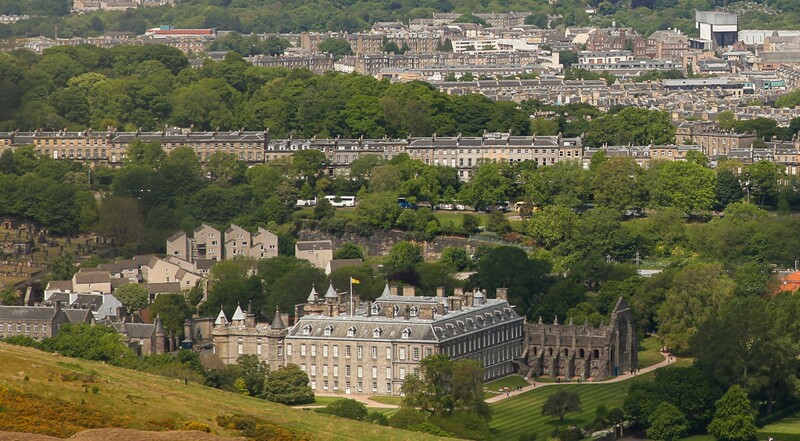 Visitors can explore magnificent State Apartments, the ruins of the 12th-century Holyrood Abbey and the beautiful royal gardens where the Queen’s annual garden party is held. The Queen’s Gallery at the Palace of Holyroodhouse also hosts a programme of changing exhibitions from the Royal Collection. A visit to Dynamic Earth is out of this world – almost literally. Take a journey through space and time, and experience the primeval forces of nature as they shaped planet Earth. Throughout the summer holidays, Dynamic Earth is inviting families to become polar explorers and see if they have what it takes to withstand the harsh environments of the poles through a range of interactive demonstrations and activities. Located in the late 16th century Canongate Tolbooth, The People’s Story is a museum with a difference. Explore the lives of Edinburgh’s ordinary people at work and play, from the late 18th century to modern day. Visitors can see displays showing a bookbinder’s workshop, a wartime kitchen, an original former jail, an original part of this historic building, and much more. Ever seen a million pounds? You can at the Museum on the Mound, as well as lots of other intriguing displays including old Scottish banknotes and coins, along with examples of unusual money from around the world. The museum often run workshops for children in the summer holidays, so this beautiful building is fun for all the family.